The agreement among OPEC members to cut production reached on September 28 caught the energy world by surprise, sending prices shooting up and eliciting estimates of price shocks from market prognosticators, including Goldman Sachs. The announcement marks the first time OPEC has managed production since 2008, when production quotas were abandoned in the face of the global economic crisis. But with a little bit of time, enthusiasm for the proposed deal, which has yet to be finalized has cooled into wary skepticism. With so many caveats, potential pitfalls and likely obstacles to a lasting accord, OPECs capacity to deliver on its Wednesday announcement is widely being called into question. While markets continued to climb on the back of the OPEC announcement, with WTI closing above $48 on Friday while Brent stayed above $50 for the first time since early September. Nonetheless, there’s good reason to suspect this current buoyancy to vanish by next week. That’s because this deal is a Swiss cheese of exemptions and conditional allowances, the framework of which ultimately rest on the willingness of Saudi Arabia, OPEC’s de facto leader, to pull the other members behind it in a fight to rescue prices from further stagnation. 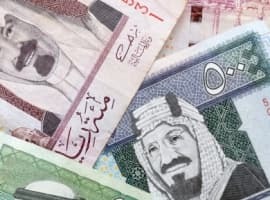 The cut is also evidence of the changing conditions within Saudi Arabia itself, which after a two-year strategy of maximized production is at a cross-roads, financial stress and internal instability an increasing possibility. The stated goal of the proposed cut is to bring the OPEC production level from its current level (33.24 million bpd, at the time of the meeting) down to a level between 32.5 million and 33 million bpd. 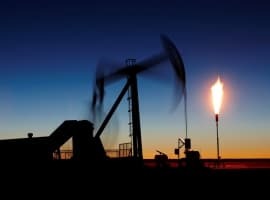 Thus the targeted cut is a meager 240,000 bpd, or an absolute cut of around 700,000 bpd, which represents around 1 percent of global output, using figures from the IEA. The instigator of the cut is Saudi Arabia, which has shifted from the policy it has pursued since November 2014, when it famously refused to cut production in the face of falling prices. This strategy has yielded few positive results for Saudi Arabia, as Iran increased production and American production fell off much later than expected. Since 2014 Saudi reserves have fallen by 20 percent, and the budget deficit in 2015 was $98 billion, over 15 percent of GDP. The deficit for 2016 is projected to be $87 billion. A recent change in the Saudi leadership, as long-serving oil minister Ali al-Naimi was replaced by Khalid al-Falih, who unlike his predecessor was worried over the long-term implications for price within the Saudi policy Related: Has Saudi Arabia Pushed OPEC Too Far? The cut is as much an indication of changing priorities, and ideologies, within the Saudi government as it is a result of market factors. Al-Fatih belongs to a growing contingent of Saudi politicians who hope to see their country move away from oil and towards a more diversified economy. The doctrinaire al-Naimi was committed to the goal of retaining market share, a strategy Saudi Arabia stuck to since the disastrous price collapse of 1986-87. The shift in policy indicates a less mercenary attitude in Riyadh, perhaps evidence that oil will play a less important role in Saudi strategic thinking going forward. One thing is for sure: The Saudi leadership has taken the economic repercussions of al-Naimi’s two-year policy seriously. According to the Brookings Institute, time is a luxury that the Kingdom “can no longer take for granted,” as it faces a “economic time bomb” that could go off at any minute. Concern for its economic predicament, according to the Wall Street Journal, was foremost in the decision to change course. Stabilizing prices could be pivotal in returning the Saudi state to steady economic footing. That is, of course, if the deal itself is realized. It is at the moment only a proposal, with a definite accord coming at the next OPEC meeting in Vienna on November 30. No specific figures have been announced, and determining which countries will have to cut production, and by how much, will be left to November. The Saudi commitment to cut production is shared by only ten other members of the organization: there are several important exceptions that will, in effect, render the cuts largely symbolic, at least as far as the supply-demand balance is concerned. The most important concession, however, was offered to Iran. 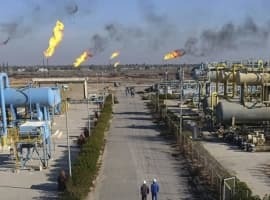 After months of very public feuding, Saudi Arabia agreed to permit Iran to increase production to a “maximum level.” This level remains unspecified: the consistent Iranian demand that production be allowed to reach 4 million bpd was changed on the eve of the meeting, as oil minister Bijan Zanganeh demanded a production ceiling of 4.2 million bpd. Zanganeh, ebullient after the decision was announced, declared it an “exceptional decision,” and a sign that after two years OPEC had finally “reached consensus to manage the market.” The deal likely means Iran will continue to increase production up to, and possible beyond 4 million bpd. If nothing else, the deal indicates a slight improvement in the struggle between Riyadh and Tehran which lies at the center of current Middle East instability. But the basic math confirms what other analysts have already pointed out. With these exceptions taken into account, as well as the fact that Russia will not participate in any cuts, production removed from the market by the ten OPEC members will quickly be replaced by non-OPEC production or increases from Libya, Nigeria, Iran and perhaps even Iraq. What, then, will the long-term impact of this deal be? Ultimately, the OPEC production cuts are about moving the market and sending a message of unity and purpose; changing fundamentals, insofar as this lies within OPEC’s capabilities, is of secondary importance. Even a minor cut of 240,000 bpd will indicate that OPEC is once again prepared to use concerted action to influence prices, while the much-publicized Saudi concessions to Iran show that geopolitical interests take a back-seat to stabilizing the market. These are rhetorical, political strategies. They reflect the domestic politics of Saudi Arabia and the changing balance of power within OPEC, which looks to favor continuing maneuvering from Iran and even Iraq. While the market might lose its post-announcement buzz, the long-term effects of this deal could influence prices into late 2016 and 2017 in ways that are difficult to predict. ossiblebut improbable, cheating by oPEC members is rampant as well as the fracking within US will benefit means 60 is highly unikely. My speculation is world demand being what it isand troubled spots like Libya, Iraq, Nigeria being resolved or close to it, I'd say closer to 40 by Christmas. why do you say that Russia won't comply. It's my understanding that Russia has already signed on. It is too early to predict whether Christmas will arrive earlier in OPEC nations.